Our favorite hair line now has to-die-for skin care products. 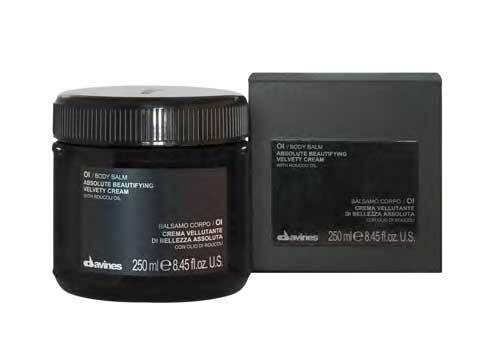 New to our salon is the absolute beautifying velvety cream. This body lotion is made with roucou oil giving users an anti aging effect. Infused with nourishing properties, it leaves the skin incredibly silky. As important as our hair is, it is also important to take care of our skin. Come into Pistachio Hair Studio today to check out this new body balm!